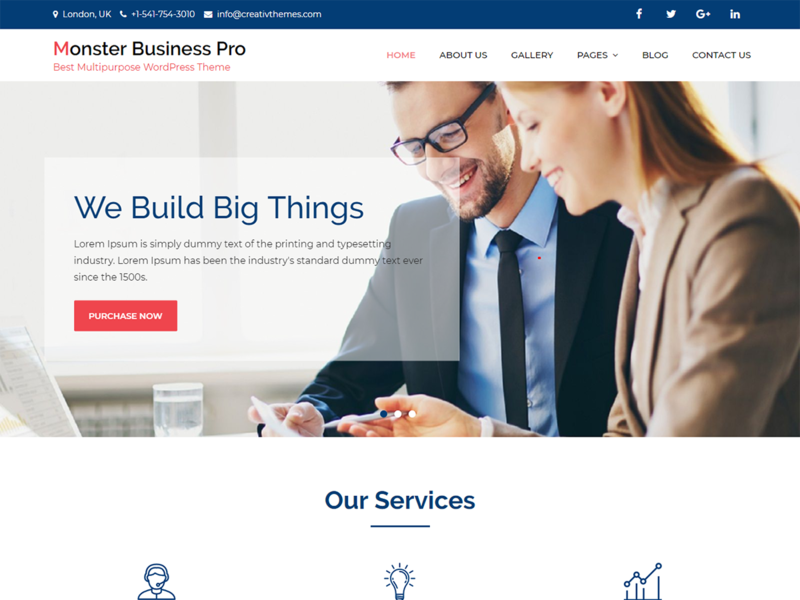 Monster Business Pro is a clean, modern and fully responsive multi-purpose wordpress theme. It can be used to create any type of website like consultancy, finance, corporate, travel, education, medical. It is responsive, SEO friendly, speed optimized, and translation ready. This theme comes with lots of features such as color options, typography options, column layout options for every section. Importing demo is also very easy and can be imported in less than a minute.